The Tucker Maxon School was founded in 1947 by a Harvard-educated attorney, Paul Boley, whose daughter became deaf at the age of 18 months due to meningitis. Initially, Paul Boley enrolled his daughter in the preschool program at Portland’s Hosford Public School for Deaf Children. At Hosford, he was introduced to instructor Alice Maxon who believed, “Deaf children can talk.” Boley dreamed of a small school in Portland where his daughter Barbara Ann and other deaf children could learn to speak. At the request of Boley, the then president of Cascades Plywood Corporation, Max Tucker sponsored the school during its earliest years. Tucker Maxon has been ranked among the top schools in the country and valued for its innovative service and dedication to teaching children with hearing loss and children with typical hearing to speak, learn, laugh and sing together! 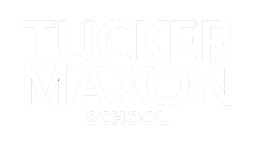 Tucker Maxon School is established by the Boley, Monnes, and Tucker families and Alice Maxon becomes the first instructor. Humble beginnings in a converted bedroom in the Boley home. Renowned architect Pietro Belluschi is hired to design the school’s first building. First classroom building, Tucker Hall, opens to 18 students. Tucker Maxon graduates its first class. Second classroom building, Smith-Bauder Hall, opens. Tucker Maxon board member Tom McCall becomes governor of Oregon. 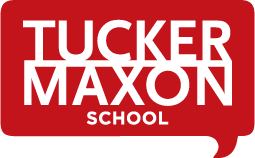 Tucker Maxon is one of the first private schools to be approved and registered by the Oregon State Department of Education. Founder Rose E. Tucker passes away. She served on the Board of Directors from the school’s founding until her death. Tucker Maxon begins offering early intervention services to families through the David DeWeese Hearing Center at Providence Hospital. The DeWeese Center moves to the Tucker Maxon campus. Peter Folkestad, a Tucker Maxon student, becomes the 96th person to undergo cochlear implant surgery prompting the school to become actively engaged in this new technology. Tucker Maxon establishes the world’s first school-based children’s cochlear implant center in conjunction with the House Ear Institute in Los Angeles. Tucker Maxon is named Program of the Year by the International Organization for Education of the Hearing-Impaired. Five school staff members publish Listening to Learn: A Handbook for Parents. Families and the community come together to rebuild after fire damages the main building. Cochlear implants gain approval by the FDA, enabling more children to receive them. Tucker Maxon Board member Dr. Alexander Schleuning begins performing cochlear implant surgery. Heather Whitestone, the first deaf Miss America, visits the school. Tucker Maxon becomes one of the first schools in the country to co-enroll hearing impaired and typical hearing children to learn together. Early Intervention returns to the Tucker Maxon campus from the Hearing and Speech Institute. Tucker Maxon celebrates its 65th anniversary. Tucker Maxon is evaluated by OPTION Schools Inc. and exceeds the organization’s standards for LSL schools. Tucker Maxon hires new Executive Director Glen Gilbert and Principal Linda Goodwin to lead the school.